The ultimate goal of a manager and players that are representing a nation as they go to play a World Cup is to emerge as the champions however things did not go as planned for Netherlands during the 2014 World Cup as they lost against Argentina in a penalty shoot-out and later had to face off with Brazil in order to see which nation would take the 3rd spot. Netherlands and Brazil battled each other at the Brasilia and a few minutes before the end of the 1st half, Dirk Kuyt and the Brazilian defender Maxwell clashed heads between one another which resulted with Kuyt having to require medical attention. The Dutch midfielder was seen dripping blood from the back of his head and the medical team of the squad had to step in as they decided to staple shut the wound in order to prevent it from further blood spilling but instead of going to the sidelines of the team or a medical center, all of it occurred inside of the pitch as Dirk Kuyt just laid there when everything was happening as he did not want to miss out from the match. 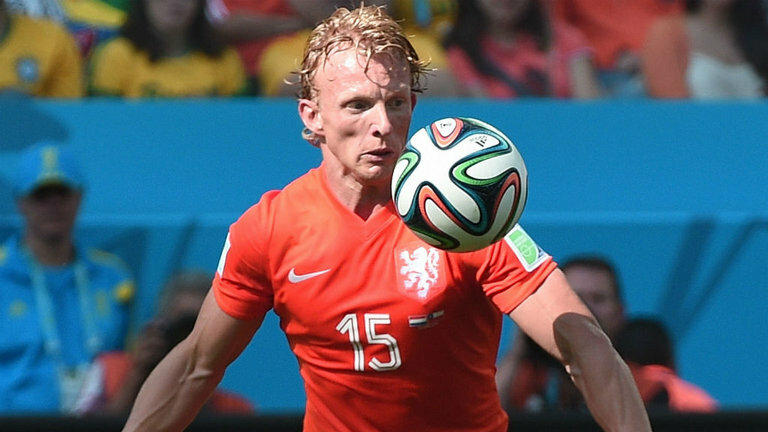 Dirk Kuyt did not want to miss the remaining minutes of the encounter as he decided to simply lay down as the medical team took control of his wound and even with the staples being put into place, he remained being an active player for his team throughout the entire match which concluded with Netherlands securing the 3rd spot as they defeated Brazil 3-0. Football is a sport that has received its fair share of criticism as there are a number of players that exaggerate an injury as they attempt to stall the game or make their opponents receive a yellow card but it seems like there still exist some others that just want to keep on playing no matter what.